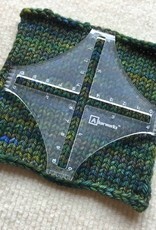 Ackerworks unique swatch gauges offer a slip-resistant 4 inch cross measurement, for nice confident gauge counting. Each end of the cross has a set of little teeth that gently but firmly hold the swatch in place and prevent it from shifting around while you count. 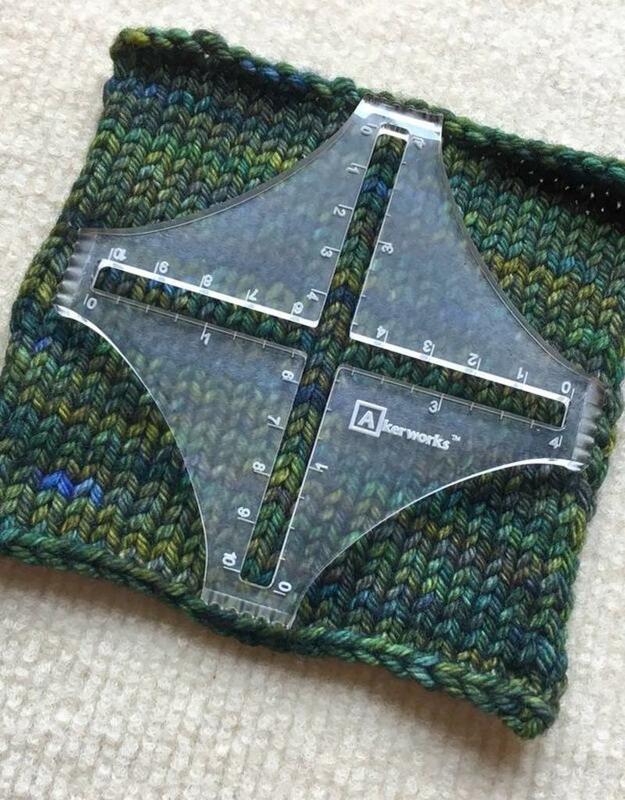 The durable material is transparent enough for you to see stitches through the gauge, for greater confidence and accuracy. One side of each arm is marked in whole inch increments, with 1/4" marks between. The opposite side is marked in whole centimeter increments.